From the middle of the sixteenth century the reputation for excellence of the composers of NorthernGermany was well established. Given dynamism by commercial exchanges thanks to the bustling activity of the port of Hamburg notably, the cities of the Hanseatic League welcomed many foreign workers, their customs inspiring the artistes of the Germanic tradition. At the end of the seventeenth century, Hamburg was a free city sheltered from war, a refuge for artistes and for great fortunes. It was then the most cosmopolitan city in Germany and its population included a great number of merchants, bankers, diplomats and senators, so many men who were rich and who had the time necessary for enjoying music and for encouraging this flourishing art. As close friends, Johann Adam Reinken, Dietrich Buxtehude - both admired by Bach - and Johann Theile belonged to the circle of contrapuntists of Northern Germany, finding inspiration, however, in the monodic stile nuovo of Italy,championing the idea that music should be at the service of the drama. 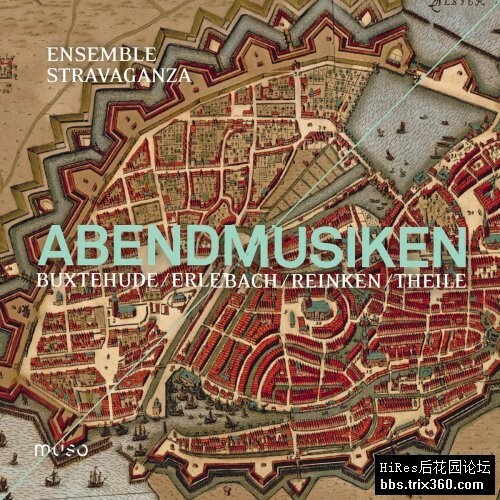 This musical circle, both professional and friendly, met frequently at Abendmusiken, or musical evenings, created in 1646 in Lübeck by Franz Tunder, organist of the Marienkirche who was to be succeeded by Buxtehude. Organists, great improvisors, the music of the four composers of this programme often comprises suites of short movements in each of which occur identical or related harmonic andmelodic elements, characteristics of improvisation and peculiar to the stylus phantasticus, a musical movement dear to composers of this period.